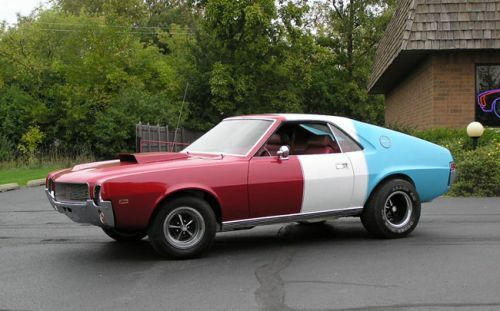 The 1969 American Motors AMX received some newly added features that make it particularly desirable. However, largely the car is unchanged from the 1968 model. The big addition was the introduction of the "GO Package" (go pack). This option includes E70 redline tires, power disc brakes, a Twin-Grip differential and over the hood dual stripes. During mid year the "Big Bad" option was introduced. This package includes some really high impact and wild colors in conjunction with a Hurst four speed transmission. The Big Bad colors includes orange, blue, and green. Arguably, the most desirable AMX ever made would be one of the ultra-rare Super Stock AMX versions. 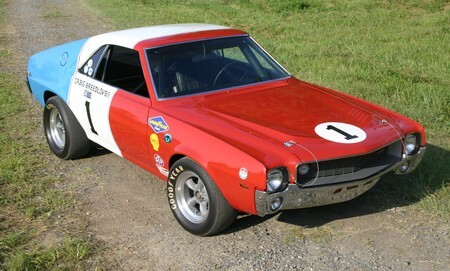 These were built by Hurst and were designed for NHRA super stock drag racing. These were not street legal in any way! A SS car included a high compression 350 hp 390cid motor with two 650 holley four barrel carbs. The intake was a custom Edelbrock aluminum cross ram intake. Exhaust included Doug's Headers. The cars also featured other performance options in the the suspension.